When it comes to doing your regional work in Australia, it is always a stressful time. I decided to put this guide together as there are bits and pieces of info about regional work in Australia online but nothing comprehensive covering everything. Where can I do regional work in Australia? How many days regional work do I have to do? How much will I get paid to do regional work? Do I have to get paid?? What kind of documents will I need? My situation is complicated who can we speak to? And so on. 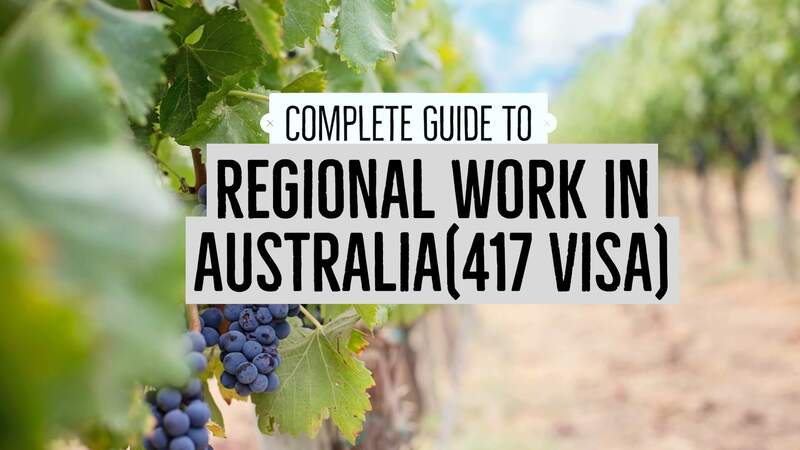 Luckily for you, I put together this guide all the way back in 2014 and have since updated it in 2019 into this article covering everything you need to know about doing you regional work in Oz. It is one of those things backpackers will tell you that they had a great experience but will never do it again. Unless you get particularly lucky and love your job. Looking to stay in Australia longer or what other options are there. Read my article on eight options to stay in Australia longer. 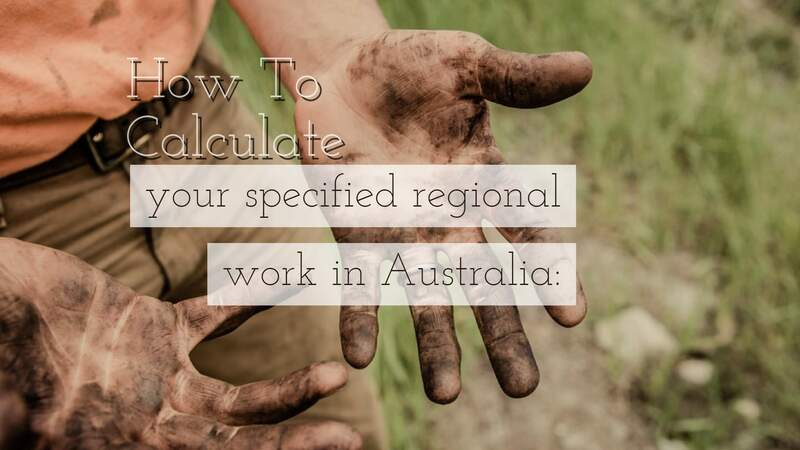 Make sure you are doing regional work in the correct postcode read our Regional Australia postcode list or double check them with the Australian gov website. Extra tip: Be sure to get travel insurance if you don’t already have any! I did a detailed post on my travel insurance recommendations here. Online application for your second-year visa – I highly recommend you apply online as you don’t need any pesky forms and in some cases, your second-year visa can be approved in a few days! Unless they randomly pick you for “investigation” where you just have to provide additional documents they request. Harvest Trail PDF is excellent and has plenty of contacts and suggestions for finding work. Useful services while in Australia – This is our very useful resources page that we have personally used over the past two years in Australia, and it includes quite a few discounts as well. 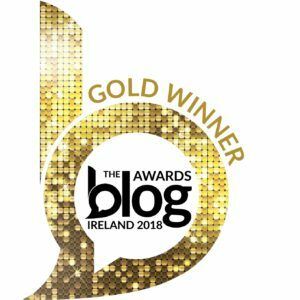 TaxBack.com – Get your Australian tax back fast and reliably with TaxBack.com, by far the most experienced in the industry. You can also claim your Super back with them here. Fair Work.gov.au – Government website about fair work policies. 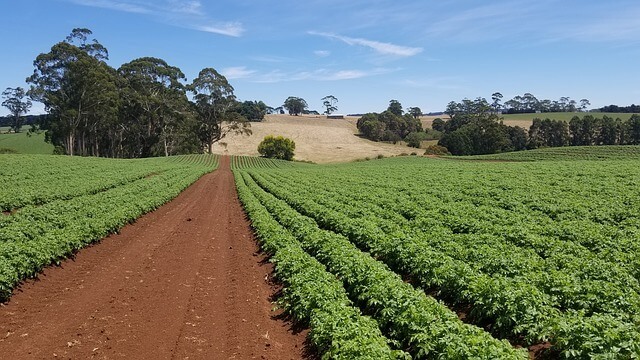 Daff.gov.au – The Australian Department of Agriculture’s role is to develop and implement policies and programs that ensure Australia’s agricultural, fisheries, food and forestry industries remain competitive, profitable and sustainable. Travel Insurance – If you are travelling around Australia or going on a short holiday you can book it with World Nomads. Scamwatch.gov.au – SCAMwatch is a website run by the Australian Competition and Consumer Commission (ACCC). SCAMwatch provides information to consumers and small businesses about how to recognise, avoid and report scams. Airbnb can be handy when you are travelling around Australia looking for that perfect farm. Use this link to get $50 off your first stay. Your guide to migrating to Australia and these guys nightmare farm work story. Where can you find regional work in Australia? Gumtree is a great resource for finding work; only thing is there will be hundreds of other backpackers doing the same thing as you. Ads tend to have hundreds if not thousands of views within a few hours so make sure you are regularly checking. Within about 2 – 3 days we received over 20 resumes, people just on autopilot not even reading the ads. There is now an enormous amount of backpackers doing regional work and as a result, means finding work through Gumtree a lot harder. Do not ever pay someone a deposit or fee to “hold” your position. There have been loads of scams in the past. If it sounds too good to be true, it often is. So please be cautious. Beware of the ibackpacker website, in this case, I am not even going to link to it, but basically, they just take ads from Gumtree and make you pay just to apply for the ads. So as a general rule you do not ever need to pay to apply for a job! The only real exception is if you want to do a traffic control position where you need initial training before you can begin. A good place to look regularly is on one of my many Facebook groups. You can find a full list here; there is nearly always someone asking about regional work in Australia on them. I’ve also created a new job board where I plan to add a regional work section soon. You have to do 88 days regional work. If you can find full-time work, the 88 days includes your days off. So it’s three months’ full-time work or just counts up your 88 days if it’s part-time. A day is counted as the standard hours for that industry. A lot of people get confused with this. 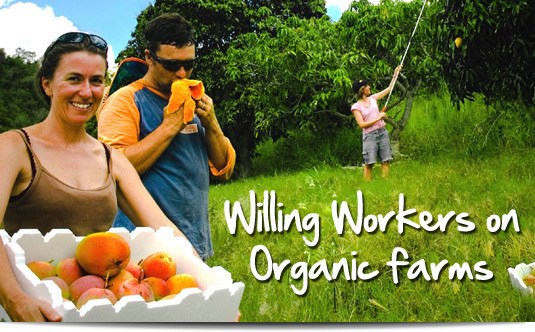 If you, for example, work with two different farms then you will have to do 88 days versus three months! Meaning your regional work in Australia will be a LOT longer. This means if you are working only Monday – Friday it can take you up to 17 weeks to complete your regional work! Versus just three months with one company. Work in regional Australia – Seems obvious but some areas are not far enough away from civilization to be classified as regional work, there have been cases where farms are just offering farm work, and people presume it counts towards their regional work. Regional work has to be in a valid regional postcode in Australia! Just double-check the postcode before you sign up for anything. Here is a full list of all the valid regional work postcodes in Australia via the Australia government website. Take some photos – At least take one photo a week where you are clearly visible in the picture, and your work is clearly visible too. Keep those receipts and payslips – Your payslips are key, they will give you evidence of work done and payment received. Make sure your employer is legit – To get paid properly you need a Tax File Number (TFN), and your employer will require yours. You can get a TFN number here. Your employer will supply you with a payment summary when you finish work so you can claim your tax back. You will need your employer to fill out the ‘Form 1263’ which states you worked for them and stated the work you completed. The Form 1263 is available here. You don’t technically need this form when applying online but if you ever get investigated, or the Australian government requires additional info it is great to have. Starting 31 August 2015(don’t worry if you did it prior! ), payslips must be provided with 2nd year Working Holiday Visa applications. If you want to do some bar work on the side out our recommended RSA company here. Apply at the right time – It takes about 3 – 4 weeks to get the visa processed, given that everything is in the correct order. But recently they have streamlined their application times, and I have heard of people getting approved in a few days. If you apply in Australia, you must be in Australia to be granted your visa and vice versa. Ensure that if you’re leaving Australia that you apply in time to receive the visa. Once you submit your application, you will be granted a bridging visa; this will continue your first-year visa if it expires before you are granted your second-year visa. How do I apply for my second-year visa in Australia? Online Applications Costs approx AU$460 per application! You can apply for your second-year visa extension online on the immi.gov website. The application process can take around 20 minutes. You will receive a Transaction Reference Number (TRN). It is essential that you record this number as it is used to identify your application when you contact the department and to access information about the progress of your online application. Once your visa is confirmed which can take anywhere from 1 – 14 days you will receive that an amazing email stating VISA GRANTED. One of these best feelings ever. FYI: With the regional work verification form it is not actually needed(most of the time) on the first application. So don’t stress too much about it. All you need on the online application is ABN and dates along with a bit of information about the company. A lot of people get stressed about if they lose they form or if the don’t have one signature etc. The application checklist on Form 1150 details the information and supporting documents you must give with your paper application. Note: European Union and national identity cards cannot be used to apply for a working holiday visa. You must apply using a passport from an eligible country. If you apply using an identity card, your application cannot be accepted, and you will need to lodge another application using your passport. Complete applications are likely to be processed more quickly. Incomplete applications may be delayed or sometimes refused. You can lodge or post a paper application for your second Working Holiday visa in or outside Australia. I highly recommended that you make an online application. Harvest Trail links job seekers with harvest jobs Australia wide. It offers an excellent way for people to travel around Australia at their own pace while working and earning money. Phone the National Harvest Telephone Information Service 1800 062 332 for information on harvest jobs, working conditions or accommodation. Use the National Harvest Guide to find out about harvest work, working conditions, transport and accommodation. The guide is regularly updated and is available free for download or in hard copy. As we mentioned, all of their services are FREE and funded by the Australian Government. All of my Facebook groups are listed here. Travelling around Australia looking for regional work. As you travel around Australia, you might encounter different driving conditions and traffic laws to those you are used to. 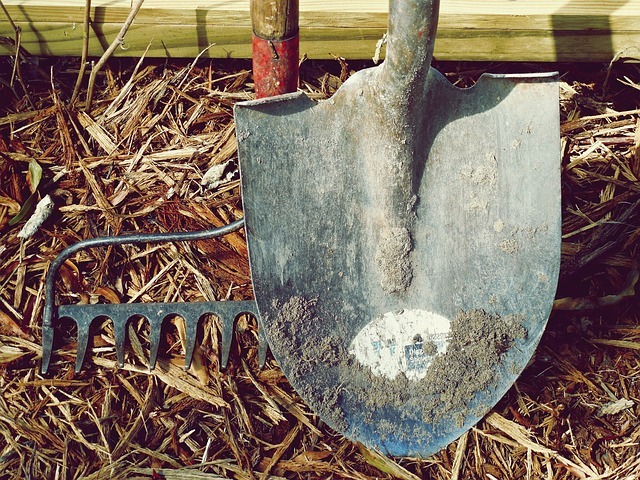 Beware of paying money to secure farm work as scams are common. We recommend you call the National Harvest Telephone Information Service on 1800 062 332 before travelling. I know I am mentioning it again, but I cannot stress it enough! Don’t pay anything to secure or “apply” for a job. 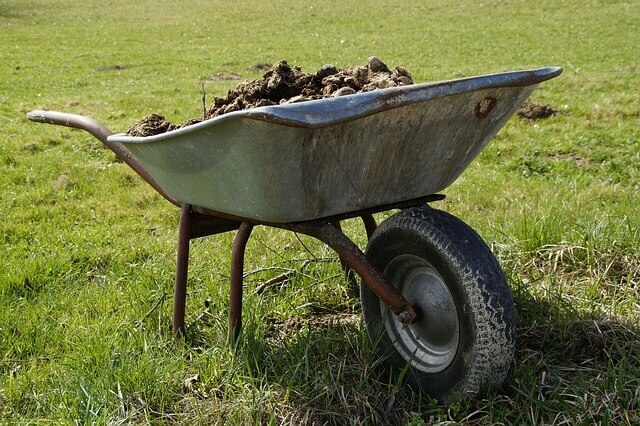 Some backpackers have been targeted by scams on the Gumtree website, and we recommend everyone to beware of paying money to secure farm work or for accommodation deposits as scams are common. We have also just recently published a video about a guy who gets caught by border security who paid someone to “sign off” on his regional work. Don’t ever pay anyone a finders fee, a deposit for accommodation or anything in advance! The Australian government is cracking down heavily on these, but there is still a few scams out there. ‘Three months‘ means three ‘calendar’ months or 88 days. Work can be in one block with one business, or in separate blocks with one business or multiple businesses. Blocks of work may be in different kinds of specified work. Full-time workers may include weekends in calculating the number of days worked. Applicants who work part-time or on a casual base can only count the full days worked. The shortest period that can be counted is one day of full-time work (for any given industry). Full-time workers can count sick days only during periods where they were in paid employment and entitled to sick leave or covered by workers compensation scheme. In these situations, supporting evidence must be provided by the employer. Applicants who were prevented from obtaining employment because of injury or seasonal circumstances cannot count any time they were unable to work towards the three-month period. For example, Cyclones interrupting harvest activities. How much should you get paid doing your regional work in Australia? Negotiation agreed on start to finish basis. http://www.fairwork.gov.au/ or call 13 13 94. It is a requirement of law that all workers are covered by insurance for a workplace injury. This insurance is paid by the employer. Make sure that you are properly instructed in all aspects of the work before you start work. Take care as it is your responsibility to follow all health and safety instructions and to report any injury immediately to the farmer. Superannuation is a form of savings where money is set aside by your employer and invested for your retirement. Australia has a Superannuation Guarantee scheme, and your employer may be required to pay superannuation deductions on your behalf, depending on the amount you earn. There is an excellent PDF from Harvest Trail which outlines every single state, where to stay and much more. Check it out here. Woofing is no longer allowed unless you get a payslip or paid for your work. You can check your visa details, including your visa grant number and visa conditions, using the Visa Entitlement Verification Online (VEVO) system. You can use either your TRN or the password that you recorded at the end of your online visa application. If you do not have a password or have forgotten it, you can get a new one by calling 131 881 within Australia. If your visa is not granted, the department sends you a notification letter advising you of the reasons for the refusal, your review rights and the time limit for lodging an appeal. Your rights for a review of the decision differ, depending on whether you lodged your application in or outside Australia. If you lodged in Australia, the refusal letter advises you of your review rights and the time limit for lodging an appeal. If you lodged outside Australia, you have no right for a review of the decision. I hope you have a great experience doing you regional work and please do comment below if this article has helped you in any way. On a final note if you are looking to transfer money internationally we recommend Currency Fair. Be sure to read our article about money transfers which explains how they work! Hope you enjoyed this guide and it helps you find and complete your regional work. Please share it on Facebook or any way you can.